I was lucky enough to meet David Riley recently and hear him talk about reading and writing. He is a local author from Mangere (a suburb of Auckland) which according to the Reed Dictionary of New Zealand Place Names means lazy, or laziness. This was because “When Ihenga journeyed northwards from the thermal regions he rested here for a while, leaving his followers to prepare a meal. They took so long to do so that their leader was angry and commemorated the event by this name.” Unsurprisingly the dictionary goes on to say that the name was objected to by Maori during the 1840’s and they suggested Queen’s Town as a substitute. It doesn’t tell us what the people of Queen’s Town thought about that! However, David Riley is far from lazy because he has just published his fifth book. 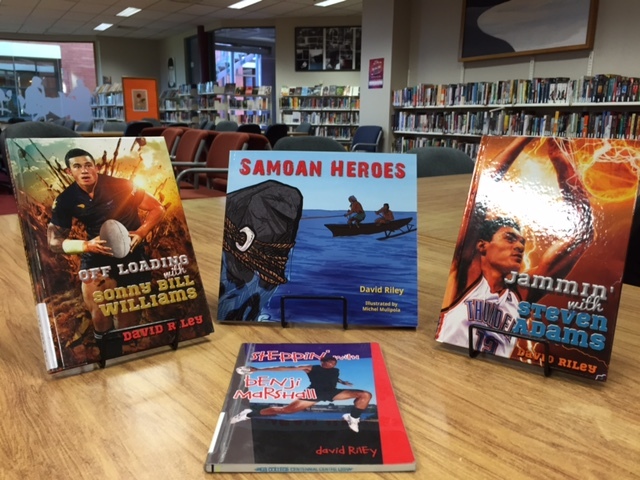 Each of these books are packed full of interesting stories about the lives of our New Zealand and Samoan sporting heroes and the challenging moments in their lives. In some cases we know about the fame and success that these sportsmen have achieved, but we don’t know about their struggles and dedication to their sport along the way to their success. In Steppin’with Benji Marshall we learn that Benji Marshall was born in the same year as Sonny Bill Williams, and that a very famous author also went to his school; Whakatane High school. [If you want to know who, click here]. Off Loading with Sonny Bill Williams is full of colour and wonderful stories, and no wonder, when you look at the bibliography at the end, and the long list of people who helped and supported the author with this book. Jammin’ with Steve Adams shows us how Steve had it tough growing up when his father died. He was sent to Scots College, “where students typically come from wealthy, European families. Polynesian students made up only five percent of the roll.” His headmaster said, “He was like a fish out of water; he felt that he didn’t fit in with rich white boys from privileged backgrounds”. When you read this, and then read the assembly speech that Steven Adams made at the end of his school life, you get a real understanding of how he matured into the great man he is today. Samoan Heroes What can I say? Tana Umaga, Tim Cahill, James Johnson, Michael Meredith …. 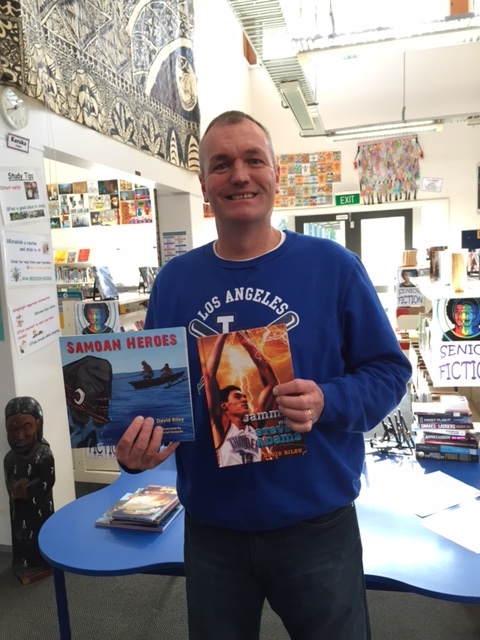 Who knew there were so many Samoan heroes? This is a wonderful collection of Samoan achievers, and the life of each person is a riveting story.